The Eva Solo series presents a new, stylishly designed luxury birdbath and bird table. 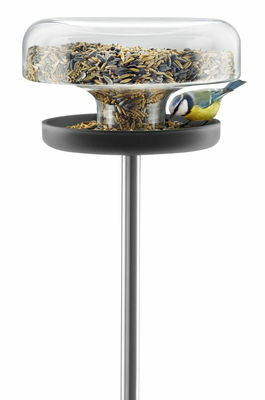 Two new additions to the Eva Solo range of design products for birds enable them to dine and bathe in style this season. The innovative bird table for garden birds and the new birdbath have been developed with a view to design, functionality and detail. 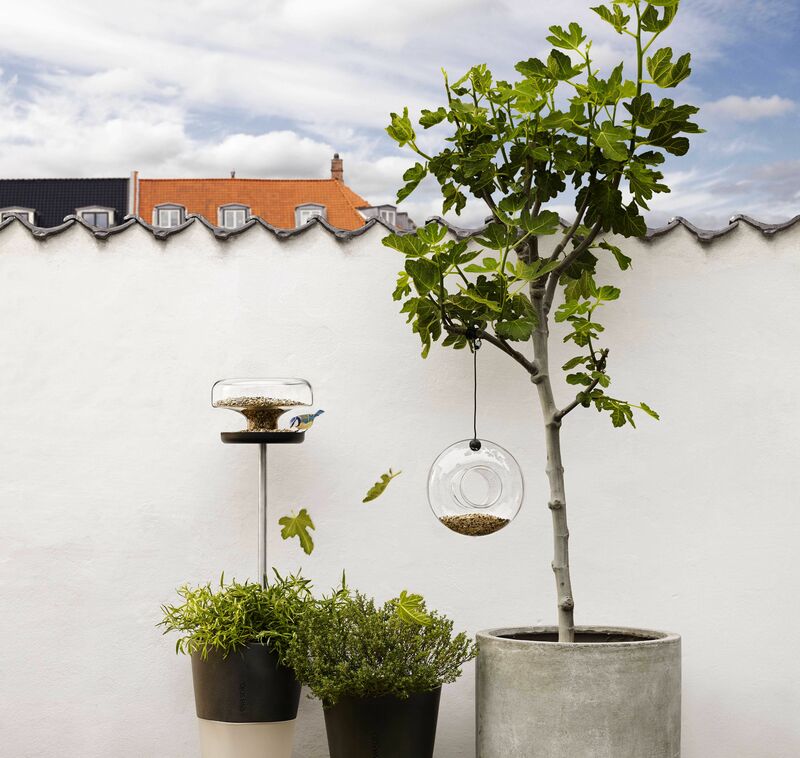 Garden design products harmonise with nature's organic forms while adding a stylish and personal touch to the outdoor environment. The Eva Solo bird table, which was previously launched in a large version, is now available in a new and different design for the smallest birds in the garden. 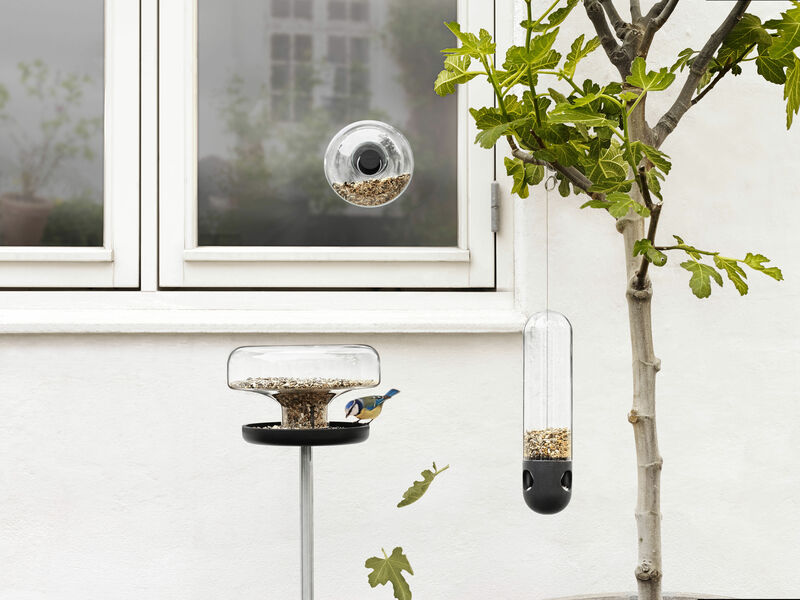 The bird table is designed with a 2 litre inverted glass cylinder. The glass cylinder retains the birdseed, so they are served the right portions according to requirements. The dosage simply depends on how much has already been eaten.